"Modiji has given the keys to the treasury to 15 select people but the Congress wants the keys to be given to farmers, youth, poor, women and tribals," Rahul Gandhi claimed. Congress chief Rahul Gandhi today alleged that Prime Minister Narendra Modi had waived loans worth Rs 3.5 lakh crore of 15 select industrialists during his tenure. 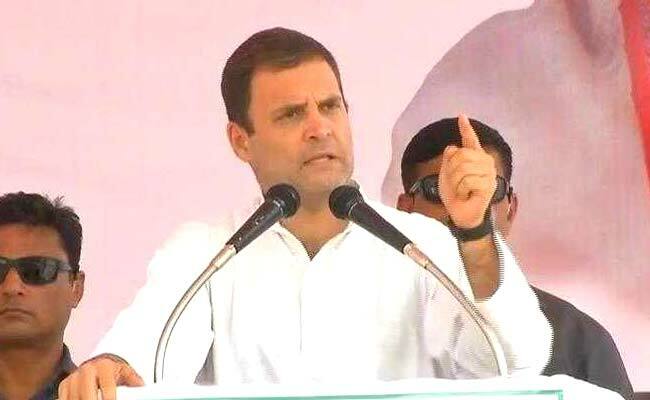 Addressing a rally in Chhattisgarh's Charama ahead of the state Assembly polls, Rahul Gandhi said he wanted Madhya Pradesh and Chhattisgarh to become agriculture centres in five years and provide food, fruits and vegetables to the rest of the country.